Many people claim to have different aspects to their nature and their personality, and sometimes this is differentiated to such an extent that you have even subpersonalities, or different parts of yourself, that can be taught to talk to each other and to engage with each other. But today I’m going to talk about something really very different, something deeper, beyond the level of our personality, beyond our conditioning, beyond how we regard [ourselves] in the normal sense—to look at our deeper nature and our greater Being that we have brought into the world. This is the foundation of our spirituality. And it is connected to life everywhere. Now surely you might have heard this before: that at a deeper level, we are all connected. But rather than simply being an affirmation, this actually holds an important key to who you are, why you are here and what you specifically have to offer. And I am going to address this within the context of the brave new Teaching called Greater Community Spirituality—a Teaching that is new to us and yet which is older than all of our Earth’s religions combined. In the Greater Community of worlds, which is the physical universe in which we live, spirituality has evolved to a very, very high state. Not only to a high state, but a state of translatability—in other words, to a state where it can be shared between different worlds, whose cultures and physical environments may be quite different from one another. What is absolutely essential about spirituality, what is real about spirituality, what is permanent and universal about our true nature and purpose is something that can be translated and has been translated beyond the reaches of time as we know it. Within this greater continuum of life, a continuum into which we as a race are now beginning to emerge, we have a great deal to learn about what spirituality means. It is like going back to school all over again. And though we have universal truths that our earth-based spiritual and religious traditions have provided for us and have encouraged within us, we must begin anew. We are at an entirely new threshold. But though it seems new to us, in terms of our ideas and our beliefs and our associations, it is something that is fundamental to a part of us that we have yet barely discovered. This is the part of us that could be called the Greater Community part of us. You came into this world with a Plan intact for who you are to be here, what you are to accomplish, the most important people you must find and meet and engage with. And that blueprint is within you; it is indelible; it is immutable. You can fail to find it, but you cannot change it. Now how you express your true nature, and how this purpose comes into recognition and full expression, and how you meet those key and important people, well, that depends on factors within the world and is unpredictable. But however it can be achieved, it remains your destiny. Now I am not speaking of the part of you that has your name, the part of you that grew up wherever you grew up, that has your parents and your family, and went to school wherever you went to school and has the personal interests that you have. I am talking about something deeper, greater within you—something deeper and greater that yearns to be discovered and to be expressed and to be shared. And this yearning, really, is at the heart of our discomfort, our restlessness. For no matter how comfortable we may become, no matter how many pleasures and benefits we may acquire, no matter how much we feather our nest and pad our existence, this yearning remains. And if the yearning is strong in you, it will not let you settle down, it will not let you call this situation good, or good enough, it will not let you retire. It will prod you onward, pushing you, moving you: “You must go…I must find…I’m not there yet…This is good, whatever this may be, but it is not yet it.” And the amazing thing is, until you find that it, you cannot stop. The it is not merely an experience within yourself. It is an experience that must be initiated by others and by greater forces around you. This is one of the key things that confuses people about spirituality. Even when people talk about enlightenment, they think they are already there – they just need to be with it. But in Greater Community Spirituality, it is taught that you are not there yet. The journey you must take must take you there. And to find that it, that totally life-affirming and confirming experience, that experience of complete self-recognition, that experience which ignites you to enter a greater arena and a greater participation in the world, that it is something that you must find. If you abandon it, you will feel abandoned. If you belittle it, you will feel belittled. If you mock it or scorn it, at a deep level you will feel mocked and scorned. We cannot get rid of God. We cannot abandon what sent us into this world. That purpose that prepared us to be here and that engendered so much support for us to be here, and that Greater Community of which we are a part—no matter where we go in life, and how we position ourselves, this still remains—discovered or undiscovered, known or unknown, expressed or not expressed. Indeed, the failure to express this is, in a spiritual sense, in a psychological sense, the source of everyone’s suffering. You cannot explain away this suffering using psychoanalytical terms, or talking about your childhood, or talking about the trauma you experienced growing up. Those may be real, in and of themselves, but we are talking about something far more pervasive, much deeper. The whole value of your life, of your being here, of your existence in the world at this time, is based upon it. And what is it? It is who you are, why you are here, who you must meet and what you must accomplish. Those four things, like four pillars, like four legs of a table—all interrelated, yet all fundamental within themselves—represent the culmination of all your genuine learning in the world. And there is a culmination to learning here. You do not go learning forever, not in the worldly sense, at least. So the most important thing we have to do is to find the experience and the expression that represent those four pillars. You can have anything in the interim, you can be anything in the interim, you can travel anywhere, you can do anything, but the fundamental need, question and reality of your life have not yet been addressed. Many of you who will hear this recording have brought with you into the world aspects of your past learning that relate to the larger universe in which we live, what I will call the Greater Community. This is because much of your learning in the past has occurred in other places in the Greater Community. And you have brought that with you into the world. For you, the world is not a big enough place. And part of your challenge is to bridge your Greater Community heritage into the world. This is part of the it for you. And to do this, you will need to learn the spirituality of the Greater Community. For earth-based religions, as magnificent as they are, will not speak to this other part of you. For you will need something different because your revelation is in the future, not in the past. Your tradition is coming into being; it does not already exist. You are tied to where we are going, not to where we have been. You are connected to what is coming over the horizon, not to what is behind us as we journey. And though everyone has a relationship with the future, everyone has a destiny, for you it is much more powerful and predominating. For you, it is part of the it that you must find. Perhaps you look up at the sky on a clear and beautiful night and you feel that home is out there. A relationship is out there. Or something is out there that seems compelling, that draws you, and you would go there if you could. And you would leave this place, this Earth, and you would return there if you could. But, you are here, and you are a human being. You are not an extraterrestrial. And you have to deal with money and relationships and power and competition and all these things that seem, perhaps, foreign to you—at least more foreign to you than they do to perhaps most of the people that you know. If you are a person who has this other aspect, this heritage, this other worldliness, this sense of “I’ve come from somewhere else. I must have come from somewhere else,” this sense of being like a stranger in a strange land, then you are what I think of as a Greater Community person. And I deeply empathize with your struggle, for it is unique, in some respects, to you and to those who are like you. Not that your struggle is greater, for we all must struggle to break free of our conditioning, to find our true and natural state and those relationships that are true and natural to us. That is a struggle for everyone. But for you, the struggle is different and the way is different. And God’s answer is different. For you, human psychology, human religion, human social adaptation, human virtue even, are not quite enough. It reaches you and you feel it, and you admire it perhaps, but it does not reach your soul. It is like that experience of being able to be in love with someone that you think you have to be in love with because they are in love with you, or everyone thinks you should be in love with them, but you cannot be in love with them and, perhaps, you blame yourself for this. It is not there. You have come from somewhere else. It is no accident that you are here in the world at this time, this propitious time when humanity, however unknowingly, is preparing to emerge into a Greater Community of intelligent life. And here are all these Greater Community people, individuals, wandering around, unable to fit in very well. Maybe you are successful. You have been able to adapt to a certain point, but part of you is connected to out there, more than you are to here. You have come at the right time, but the meaning of this is not something you are going to find looking into the world alone. Just like you could not find your church in the world. You could not find your answer to the world. You could not find a resolution to this perplexing aspect to your nature that speaks of something else and draws you where others do not seem to want to go. And here you are. Was it a mistake? Was it an accident? Did you turn right when you should have turned left, out there in some interstellar intersection? Did you get the wrong planet? Maybe you got the wrong number on your spiritual dogtag and you got sent to planet Earth when you should have been sent to planet Mirth, which is a whole different place maybe. But no, it is no accident that you are here. But for you to understand the it about your life, you must learn about the Greater Community. You must learn about things that most people have never learned, or do not feel called or motivated to learn. You must learn about life in a bigger arena because that is who you are; that is what you are a part of. You are not better than anyone else; you just bring a different set of qualities to the situation, qualities which could be incredibly beneficial to the world, but qualities that you cannot discover using conventional means. Your time, however, is coming, and it is very, very crucial to the success of humanity at this great turning point. If you will prepare, if you will undertake that journey, if you can accept that yes, you are a little bit different, or there is something about you that really is different than anything you have found here. And you have to go find that, and you need the way to find that. If you can accept these things, and if you are willing to make this journey of discovery, then your life will be validated and confirmed. And you will embark on something that will make you feel so happy within yourself, so right about your life for once—a kind of inner satisfaction that all the stimulation in the world cannot produce, a kind of odd confirmation of your Being that it so needs. Your Being does have needs. It needs to be here; it needs to be recognized; and it needs to express and to give what it has. Without that, at the core of us, we are like caged animals. And we build our own cage of comfort and convenience and consolation, and we are wandering around this cage, pacing, unable to be the true creature that we are. If you are a person who has this greater connection to life, life beyond the world, and if you can feel that, if that has been with you, if that has pricked you from time to time with its absolute reality, then you have something greater awaiting you, a different kind of journey. It is for this reason that Greater Community Spirituality has been brought into the world. Not everybody can learn this at the outset. Indeed, those people who can learn this, at its introduction particularly, are those people who have this Greater Community aspect to their nature. And it is very mysterious. I can only caution you not to try to explain it or validate it or associate with things here in the world to the extent that this Mystery is lost because it is very mysterious. And part of the Mystery is a calling. Mystery is not just Mystery. Here Mystery is: “Come this way, you need to find out, God is calling you to find out. You have something important to give. Leave your personal suffering. Leave your attempt to fulfill yourself. Leave your struggle for self-validation and make this journey—this journey which takes you to what you really are and why you are really here, and brings you to those people that you really do need to meet, who have the key to what you are about. In Greater Community Spirituality, this hyper-individualism that we see in the world today, particularly in our western cultures, is given a much more realistic definition to the extent that everything is seen in terms of community. You cannot activate yourself, as I said before. You cannot initiate yourself. It takes someone else, a greater force—either through an individual or a greater force in life—to do that. You cannot enlighten yourself. You cannot even take yourself through the essential initiations towards that realization. The people who initiate you have to be able to know you. And to know you, they must know the Greater Community in you. Otherwise, as wonderful as they may be, as kind and compassionate as they might seem, they will not know you. And you will know it. And that recognition that is part of the initiation will not happen. And that life-changing response within yourself will not happen. You can marry someone who is wonderful and loving and generous and virtuous, but if they do not know this Greater Community part of you, they are not going to understand what is driving you, what is pushing you, what is pulling you. They will want you to be more human, and you cannot be any more human than you are right now. Therefore, take this journey, find this Way. The Way is being provided. Because of the world’s imminent emergence into the Greater Community, and all of the risk and opportunity that that entails, people with a Greater Community nature are in the world today as never before. And they must journey a different journey, similar in many respects to what other people are called to do, but different in some ways. Different in its teaching, its expression and in the initiation of that greater experience of purpose, meaning and value that I have been talking about. For you must not only find yourself, you must find that which initiates you. Those people, that environment, those problems in the world to which you have an answer—those are initiations. Going off and meditating in the ashram for 20 years is not it. Not for a Greater Community person. When you read the Revelation in the book Greater Community Spirituality, it is speaking for you. Your friend, who does not have this aspect, who may not have this, is going to read that in a different way. And they may receive tremendous insight from it, but it is not going to strike them. They are not going to feel the confirmation that that book and the Teaching that it represents, provides. In order for me, as the recipient and presenter of Greater Community Spirituality in the world, I must call upon this Greater Community aspect in the nature of those who can hear me. For they will be the first to respond to a teaching from beyond the world, a teaching for the world, a teaching that is meant to prepare us for our destiny and to provide the journey and the initiation [so] we can find the it that we must find. What I am speaking of here is not my personal creation. It is not the result of my study, any eclecticism on my part. It is a Revelation. As it was given to me, it is so given to you. My Revelation was more difficult because of my role, because of what was required of me, and because I was the first to study this Teaching. But it is a gift to you, and I know from experience what it asks and what it gives. One of the first things that it asks is to accept who you are. To accept who you are, without having to understand this, without having to be able to explain it to anyone else…just to accept. Because acceptance is the beginning: “I’m different. I have a spiritual nature. Something is calling me. I must find out what it is. I will try not to fight it or neglect it or avoid it.” This is acceptance. And there is a certain amount of yielding in acceptance. There is a willingness to give over the reins of your life, the demand that things be the way that you think they should be. And that it a very big yielding for many people. Some people just cannot do it, to their misfortune. By acceptance, it does not mean that you give your power to a teacher, to another person, or even to God. God does not want your power. God has got plenty of power. God wants you to have your power, but to have it with wisdom and understanding, and in the truest sense, to be able to be that which you are and to give what you have brought into the world to give. You cannot be giving your power away to anyone to do that. But you can open yourself to receive grace and guidance and preparation—those things that you cannot give yourself. No matter how independent you may feel, or self-sufficient you might feel, you cannot give yourself grace, guidance and preparation. Those must be given to you. And to receive them, you must recognize that you need them and that you cannot provide them for yourself. And you must also accept that you do not really know what they mean. Because at the outset, you cannot know what they mean. You can only receive them. You see, trying to understand things becomes just another means of manipulation. There is no opening, there is no yielding, there is no humility when you demand or expect you understand things and be able to fit everything in with everything else in your life. That is why they say understanding is like the booby prize, the consolation prize, for the person who did not win. And you will meet people who seem to understand so much about so much. But they have not found it. It has eluded them. They are only speaking based upon all the information they have accumulated. And that will cease to impress you as you begin to take the journey to that which is real and powerful, both within you and around you and throughout the world. It is important for me to be able to speak about the Greater Community within you because when I talk about the Greater Community in the bigger sense, in the outer sense, if you can feel this within yourself, you will know that it is the most important thing in the world today. Now to someone who does not have this Greater Community reality already within them, this is something they have to learn through trial and error as they go along. They can learn it, and many people do need to learn this. But the people who will be able to lead them or teach them will be those people who already have the Greater Community reality because the Greater Community is alive and real within them. Their notion of spirituality and purpose and meaning and value in the world, and even of the wonders and the dangers of the Greater Community in the physical sense, these things will be within their Ancient Memory. And though they may not be able to remember these things at the outset, and perhaps in some cases, for a long time to come, these things will be in their Ancient Memory. Just the same way that a person who has done most of their learning in this world has a psychic, physical connection to this world—this sort of natural knowing within this world. They are very intuitively grounded in this world. Even though, depending on where they are as an individual and what they have learned and how circumscribed they might be by things that are inappropriate for them, this [natural knowing] is still there. But the Greater Community person knows things about other worlds. How? How is not important. What is important. It is there. They know things, but it does not fit in this world, and so they cannot activate it. They cannot bring forth the wealth of its wisdom because they cannot connect it to their experience here very effectively. Only a Greater Community education—such an education that is presented in the Revelation of Greater Community Spirituality—only in that way can they bring forth their Ancient Memory, which holds tremendous gifts. Because it is going to take this kind of learning to end war and hostility within our world and to prepare us to encounter other races in the Greater Community, some of whom will not be coming here for our benefit. Only a Greater Community education and an understanding of spirituality and experience of spirituality within this larger context will be able to enable us to see beyond the very blinding factors that we all have as people in the world. Therefore, I call upon you, if you are a person who has such a reality within you, however ill-defined it might seem, I call upon you to accept that you have something different and unique. Not unique to you individually, but unique to you and others like you who have come to the world at this turning point—a turning point where human isolation comes to an end and the accountability of having to deal in a larger universe with all of its complexities becomes a reality for a race that has evolved largely in a state of isolation. You who have come at this time, bearing what you have learned and what your Spiritual Family has given you before you have come into the world, my calling is for you, first and foremost, to accept this and to begin to reclaim that which you hold already and to learn that which you must learn to become an expression of your spiritual life in its most complete and total sense. My answer to you, my answer to your questions: “Who am I? Why am I here? Whom must I meet? What must I accomplish?” my answer is to offer you the preparation because the preparation is the only answer that means anything. Definitions, words, concepts, images: these may satisfy the mind temporarily, but they do not satisfy the Spirit, for the Spirit must find and express and give. And until it is free to do this within you and within me and within everyone else, we are incomplete, and we are yearning, and the search will go on, and dissatisfaction will abide with us until we begin the process of acceptance and preparation and contribution that represents our true activity in the world. Rahn Ekan Novay Trenansa, Misu Veda Maya Toom. Hear more from the Messenger. 14 Responses to "Being a Greater Community Person"
Thank you dear Messenger. On hearing your words at the last Messenger’s Vigil concerning the GC, I knew I was a GC person. This information, which comes from 1998, fills out the portrait of ‘the GC person’ even more fully. I am so grateful because I have felt compelled to work with this calling more deeply. There is so much mystery in the timing of the unveiling of information. Certainly I would probably not have been prepared to receive this before the last Messenger’s Vigil. This is right timing for me. Are all first responders ‘GC people’? Every time I listen to a new Revelation from You and our Source i learn something new. Here I learned how deep your connection to your mission was 20 years ago. That this message is not immediately for everyone is also explained and made easy to understand. I hope that in time all people will learn about the New Message, because they need to know. Whether they will identify with it or not is a different matter, but the current spiritual education is no more than indoctrination – relating to the past, as You say. We are on the threshold of a New Dawn and we need to understand all the necessary scenarios, background and new rules for life in the new era. This revelation is coming at the right moment. Thank you Marshall. I love this talk. And I love hearing Marshall’s “younger” voice. I love this voice even more than the voice of Revelation. Such wisdom given with with tender compassion and understanding. Thank you for releasing this. I will listen many, many times. This message comes at the right time for me too. I have only just begun consciously wakening up to the realization that I am a Greater Community person. I may have had fleeting thoughts or vague rememberances before, but after listening to this recording I no longer have any doubt. It is so in tune with what I have been experiencing in my Steps practice the last couple of months. This Greater Community awarness and greater aspect of my being are becoming increasingly apparent to me. Now I wish to be ready to contribute the gifts I have come here to give. “As we have said before, …you have come from someplace and you will return to that place. “Your purpose now is to prepare. If you must learn Greater Community Knowledge and Wisdom, then you must prepare in The Greater Community Way of Knowledge. You cannot make this up for yourself. And if you receive the curriculum, do not tamper with it; do not editorialize it; do not select what you like and disregard the rest, or you will not move beyond where you are. It takes a different understanding and a different movement in life to carry you into a greater awareness. With greater awareness comes a greater ability. This all comes from Knowledge. Here you are asked to follow, to respond and to learn the great lessons in discernment, discretion, communication and affinity. These lessons are inherent in the preparation itself. From the first step to the last, you will be learning these things, and life will be your laboratory. 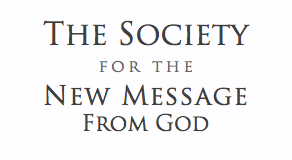 The Message Volume 2 Greater Community Spirituality What is Human Purpose? “If you could see your life in the Greater Community world, within the universe itself, and recognize that you are part of history in this Greater Community, that you are not only a Human being, that this life is not the only life, … if you could see yourself in this far greater context then you would begin, perhaps, to understand that you have relationships beyond this world beyond this life. What a gift..such an intimate time with Marshall, with sweetness and humor and compassion for our experiences of restless searching here on this planet, and a gentle nudge to return to a deeper relationship with our practice, if we hope to uncover the gifts we are carrying.Thank you so very much for making this available to us. Upon reading this revelation again, a new understanding has resonated with me. This Mystery. To accept this. To just yield to this in my life right now…”and we build our own cage of comfort and convenience and consolation, and we are wandering around this cage, pacing , unable to be the true creature that we are.”” Yes, “ because acceptance is the beginning.” I let this journey continue wherever it leads me…so be it. Nasi Novare Coram. For most of my 72 years, I have felt an aching, a yearning, a grasping for something that seems valuable to me, but has always seemed to be just beyond my grasp, a sound that is just barely within the range of my hearing. Much of my dreamlife has been centered around an urgent need to get somewhere but never quite being able to find my way there. I have met a handful of people in both my waking and dreamlife whom I have felt a deep connection and affection. I have always felt somewhat out of place and rather unable to communicate exactly what I experience to others around me except for few who seem to understand without much explanation. My Heart has lept upon discovering this new an yet strangely famliar Revelation. May we who must find one another be truly, rightly and lovingly guided into a full awareness and participation in the Greater Community.